There are lots of affordable action cameras on the market, but not many of those deserve your attention. In their attempt to compete with upmarket products, vendors tend to focus more on specs rather than the user experience, delivering action cameras that look great on paper but do not work as well as you might expect in real life. That was the case with WiMiUS' L1, which did not live up to my expectations despite having solid components. However, with the new L2, things should be different. The quality is said to be better than before, and the selection of accessories is much more interesting as well. So, I have put the WiMiUS L2 to the test to see just how good it really is. 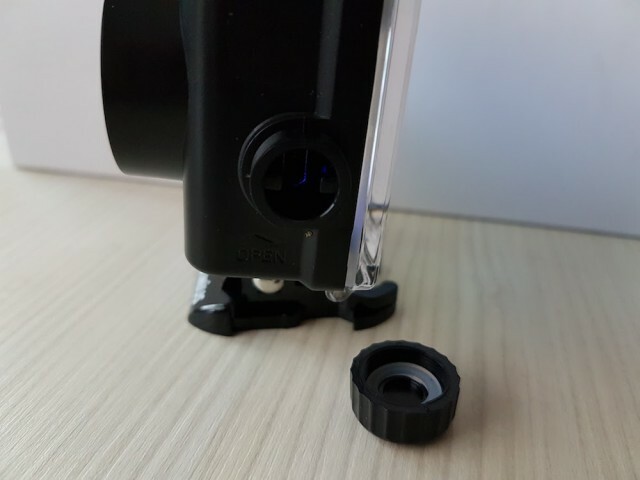 Budget action cameras have a high number of accessories in the box, and the L2 is no different. It comes with a waterproof case, different mounts and joints, straps, cleaning cloth, carrying bag, drilled backdoor cover for the case, as well as two batteries. That is fairly standard in this segment. 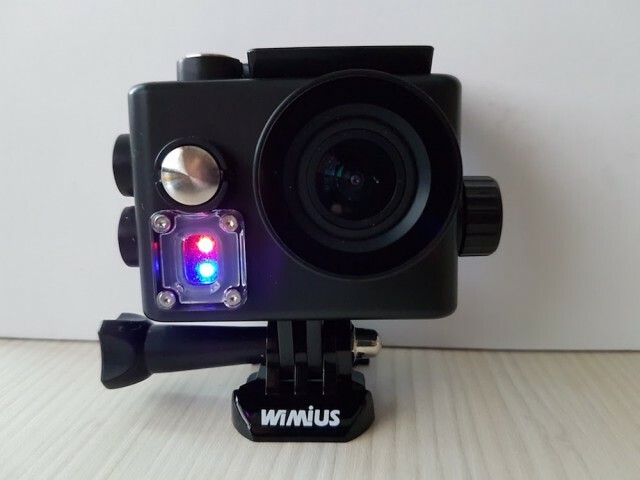 However, what's not common are the waterproof case design, which lets you power the camera from an external battery or charge the battery inside, and the presence of a battery charger in the box. The battery charger can be powered by a PC or phone charger, via a microUSB cable. 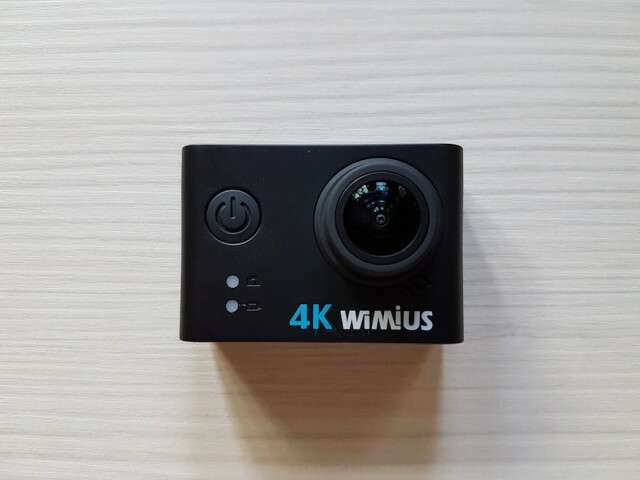 This is the first time that I have seen an action camera vendor offer these two accessories as standard, but I hope it will not be the last because they make the device much nicer to use in a wider range of conditions. The battery charger in particular is handy, because it lets you charge both batteries at the same time. What's also nice is that the waterproof case is black. It gives the L2 a more premium look compared to other action cameras in this segment. In fact, you could be forgiven for thinking it's a GoPro Hero5 Black. The waterproof case has a cover on top of the USB port (it's a USB Type-A connector, but you get the right cable in the box) so that you can connect it to an external battery or charger without affecting its waterproof credentials. Typically, such a case has to be purchased separately, if there is one available. The L2 has a pretty well thought-out design. You get a button on the front to power it on and off and switch between modes, a button at the top to validate setting changes and start and stop recording, and two buttons on the side to scroll through the settings menu or zoom in and out. On the back, you get a display which typically acts as a viewfinder for the photo and video modes, but you can also check out the settings on it and look at the videos and photos on the microSD card. That's pretty standard, overall. What's interesting is that you get two status LEDs on the front. There's a red LED to tell you when the camera is on, and a blue LED that flashes when you're recording. The blue LED on the front is synced to the two blue lights on the back of the L2. The choice of color is strange (I would have expected a different setup, like blue for power and red for recording status), but with this design you at least always know what the camera is doing without looking at the screen -- unlike with other action cameras like the ODRVM OD9000R. Menu-wise, you have access to a wide range of options for both photos and videos. Of note here is that when you reverse the video in the software it does not also rotate the UI of the camera too. This is pretty great, because, based on my experience, if the UI is also reversed you tend to press the wrong button when scrolling through the settings menu. There is a downside, however, and that is the fact that you cannot change the bitrate setting for the video. That's something I have seen with other cameras, like the L1 (WiMiUS' previous flagship) and the OD9000R. And it's a shame, because it can improve the quality by a significant margin. This is a question that I like to address in every review of an action camera that mentions 4K on the box or in the specs. 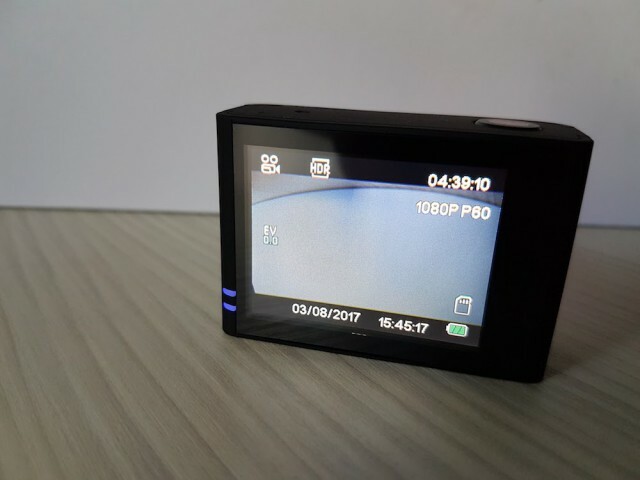 The L2, like every other action camera that uses a Novatek NT96660 chipset, is not capable of native 4K video recording. To get 4K, the camera upscales the video from a lower resolution. In practice, the results cannot match what a native 4K camera can deliver, so I would recommend going with a lesser resolution, like 1080p. The L2 has been tested in 1080p 60FPS mode. I believe it provides the optimum balance between quality, smoothness and storage space for most of us using action cameras casually and not professionally. On YouTube it is still the gold standard for most viewers, so if you want to upload content at 1080p and 60 FPS it will work just fine. In terms of actual video quality, the L2 does pretty well considering the bitrate is capped at 20 Mbps. I've asked WiMiUS about this, and I'm told there are no plans to change that yet, so users are likely to be stuck with it for the time being. Straight out of the camera, the video quality is solid in both good and poor lighting conditions. It's performed well in the middle of the day, when there's sufficient light to make the small sensor happy, and in an underground parking garage. The L2 outdoes all other action cameras in this segment that I have tested so far. The only thing you can ask for, as you might expect given what I said above, is an option for higher bitrates. Hopefully this will happen in a future firmware upgrade. The video samples below are take straight from the camera. The only editing that's been done is trimming to keep the length in check and reversing after the fact, because I shot with the L2 upside down and forgot to change the setting beforehand. Keep in mind that YouTube affects the video quality, as it applies its compression algorithms to bring the size down server-side. This is one of the great unknowns regarding the L2. The action camera is brand new, so there is no way of telling what sort of support it will receive. WiMiUS does not have a great track record here, as its site does not let you download any new firmware for older products, so I would not hold my breath on any firmware updates.